What will Google do with modu's patent portfolio? There may be a new mobile strategy to consider: come up with interesting concepts that never make it to market, go bankrupt, then sell your patent portfolio to pay off your debts. It may not be the sexiest strategy, but it has been the path taken by modu. 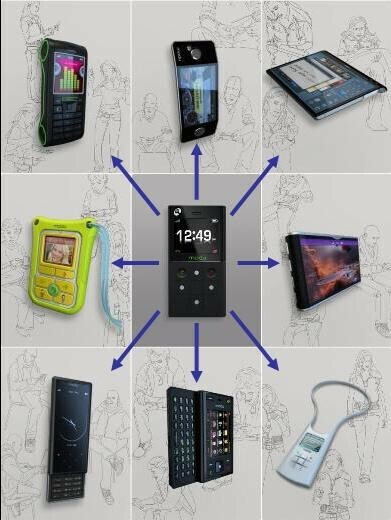 Modu was an Israeli company that had pioneered the idea of mini-mobile devices that could be swapped into multiple "jackets". So, rather than having a full-mobile device with various docks, like the Motorola ATRIX 4G, you would have a miniature device that could be swapped into a phone jacket, speaker system jacket, picture frame jacket, etc. The modu phone even made the Guinness Book of World Records as the lightest cell phone. The idea was that you have the very basics - phone+storage - in the modu phone, and that could be swapped into various hardware, or even newer devices. This would mean data portability for a fast moving ecosystem, much like the combination of Google's cloud sync and your personal SD storage card, or iTunes sync. The idea also plays into an increasingly niche-driven market where all of the solutions are one-size-fits-all. Smartphones, media players and tablets are designed to appeal to the widest swath of consumers, but modu wanted to offer a customizeable solution which could fit into each niche without adding unnecessary features, and therefore cost. Unfortunately, modu, which was started in 2007, could never get the idea off the ground and was forced to shut its doors in February of this year due to mounting debts and back salaries. Modu had been searching for investors since November 2010 to stave off this fate, but hadn't found anyone willing. Last month, Google stepped in, offering to buy the company's patent portfolio for $2 million. Now, it has been reported that Google will pay $4.9 million for the portfolio, and modu will be using that money to settle its debts and pay its former employees. The question then becomes: why would Google do this? The answers are hard to come by, because no one is sure what patents are included in the portfolio. The more far-fetched theory is that it is part of Google's mobile strategy to work around the mess of carrier constraints and restrictions. Google has been working towards creating Android devices that can be fully functional with data only by incorporating features like SIP calling, and Google Voice. 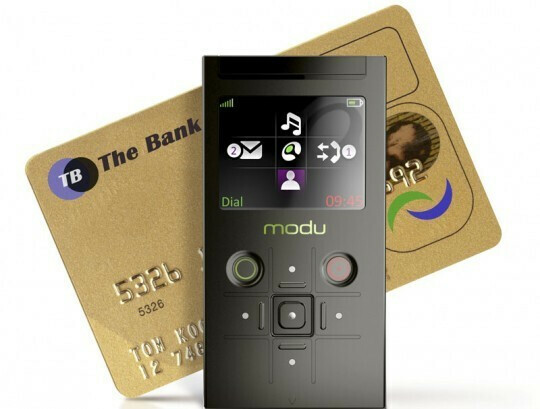 The modu phone would still need a data plan through a carrier, but it could disrupt the way we deal with data plans as that one device could be swapped into a phone or tablet "jacket". As is, consumers are forced to either pay extra for tethering, separate data plans, or a MiFi device, but the modu phone could potentially be the one connected device that powers all of your screen sizes. This doesn't seem like a very likely scenario to us though. Another possibility is as part of the ambitious Android @Home project, which is aiming to add Android capabilities to every electronic device in your home, so you can control lights, sound systems, etc. from your mobile phone or tablet. Google's hope for this is that everything in your home will be connected to the web, so you can control things from a central hub. But, with modu your personal preferences can travel with you. 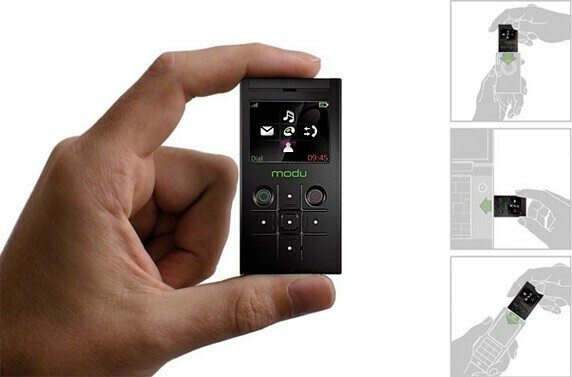 Imagine a modu dock in a hotel room, where you plug in your device and it instantly routes your calls to the room phone, sets the room temperature to your preferred level, and tunes the TV to the program that you'd normally watch at that time. It could also be a good backup option for those with unreliable Internet connections, or those who want the benefits without an Internet connection. This would certainly be a long-term play and again maybe not the most likely as Google likes to have everything run through the web, but it is certainly a possibility for the jet-setters out there. And, it couldn't hurt for Google to have more offline enabled services since there are still many areas, especially in the US where Internet connections are not great quality. Of course, the most likely, and probably most boring reason for this would seem to be the patent protection alone. 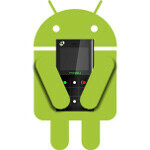 Google itself isn't the target of as many lawsuits as the manufacturers of Android devices like HTC and Samsung. Right now, the only major lawsuit aimed at Google's mobile platform and services is the case that Oracle has brought, and even that case has been partially cut down in Google's favor. Eventually, the patent lawsuits will likely come crashing to Google's shores in a big way, and having a fully stocked patent portfolio is the best defense. The trouble here is that we don't know what the modu portfolio includes; and, again, Google is a software and service company, whereas it would seem that modu would have more hardware patents than anything else. However, it is always possible that there is a telephony patent included that may come in handy if Google ever has trouble with a mobile carrier. Time will tell how or if Google has a concrete reason for buying this patent portfolio, but if Google does put the patents into use, it could lead to some very interesting products across a variety of Google services. Which direction do you see Google taking with the newly acquired patents? It would make a lot of sense if done right. If your phoness sim card and 3g/4g modem were one unit the size of a 5 pack of gum with a built in micro sd dock. Or plug it in a usb cable and give a desktop wireless data access. You could stick it into the back of a wifi tablet and give it 3g/4g. Or dock into a camera and email pictures directly. Or dock into your laptop a la Atrix. Or shove it into a different phone. Or into a .... get the point. The problem with the original concept was it was too big, to much dedicated phone. Could be big potential here for android,It kinda reminds be of transformers cartoons with the autobot being enhanced by little mini bot thingys!